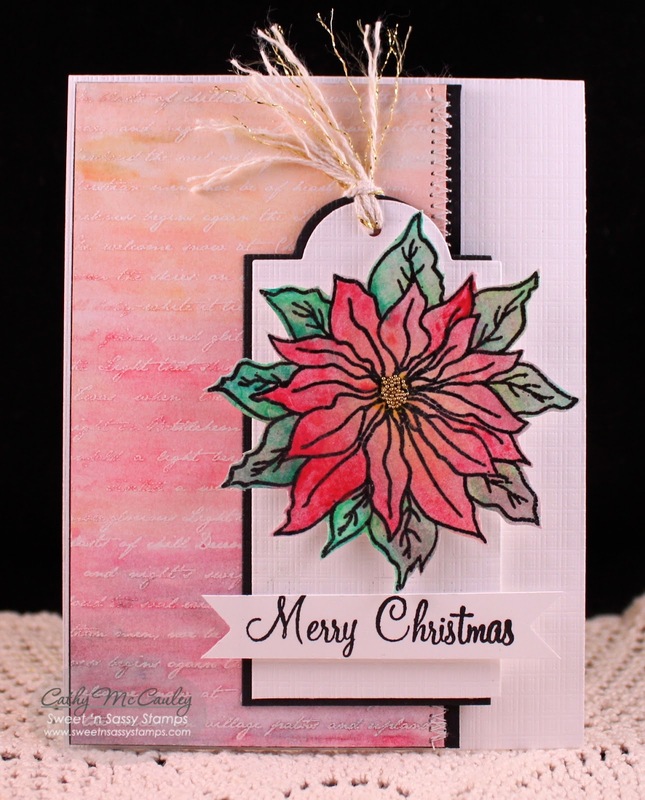 Kathy Roney is the Featured Stamper today on Splitcoaststampers and she has such a beautiful gallery full of vintage inspiration! I chose to CASE THIS gorgeous card! Creative Nugget: The dress form on Kathy's card caught my attention right away because tomorrow Our Daily Bread Designs will be releasing their new stamp sets and dies for the month of September. One of the images from the release is this beautiful dress form. The background for the dress was watercolored with distress inks and the image was stamped in Watering Can Archival Ink. There are several other products on this card that are part of the new release, but you'll have to check back tomorrow to see the full reveal! I just love the ODBD Custom Vintage Pattern Die and the ODBD Custom Vintage Label Dies used on the card front…they were perfect for this beautiful dress! The greens were cut with ODBD Custom Fancy Foliage Dies. Some seam binding, mulberry roses, and embroidery floss were added to finish the card. 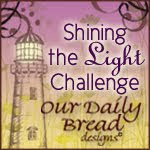 Thanks so much for stopping by…check back again tomorrow to see more of the new release by Our Daily Bread Designs! Sweet 'n Sassy Sweet Perks! 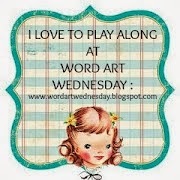 There's lots of excitement going on over at the Sweet 'n Sassy Stamps Blog. Korin just announced the new Sweet Perks Club, and just wait until you see all the SWEET deals! Four new Stamp and Die Bundles were pre-released only to those who chose to pre-order at least one of the bundles. The card below was made with two of the new bundles just released! 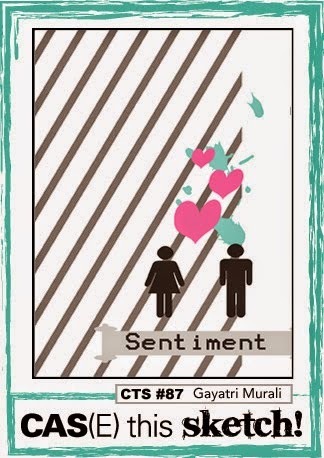 Creative Nugget: The scene on this card was inspired by Audrie's Inspiration Challenge today on Splitcoaststampers. I found THIS decorated box on her Inspiration Board on Pinterest and knew the new dies along with some of the older ones from the Sweet 'n Sassy Stamps Store, would work perfectly to make a Christmas card for my nephew! 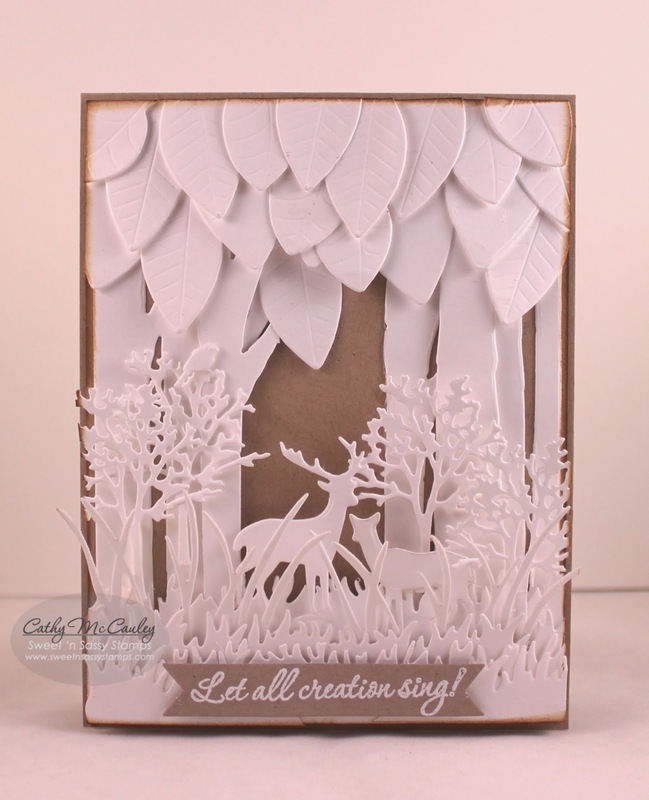 The Forest Silhouette Dies, Leaf Silhouette Dies, Tall Grass Die, Grass Die, and Birch Forest Dies were used to make the die cuts from Solar Crest paper. All of the die cuts were layered onto a piece of Kraft card stock which was mounted to a Kraft card base. The sentiment is from the Jesus is Born stamp set and was white embossed on a Kraft banner. 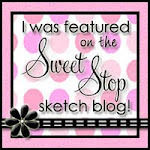 All of the details for the Sweet Perks Club can be found HERE on the Sweet 'n Sassy Stamps Blog. Hello blogger friends! 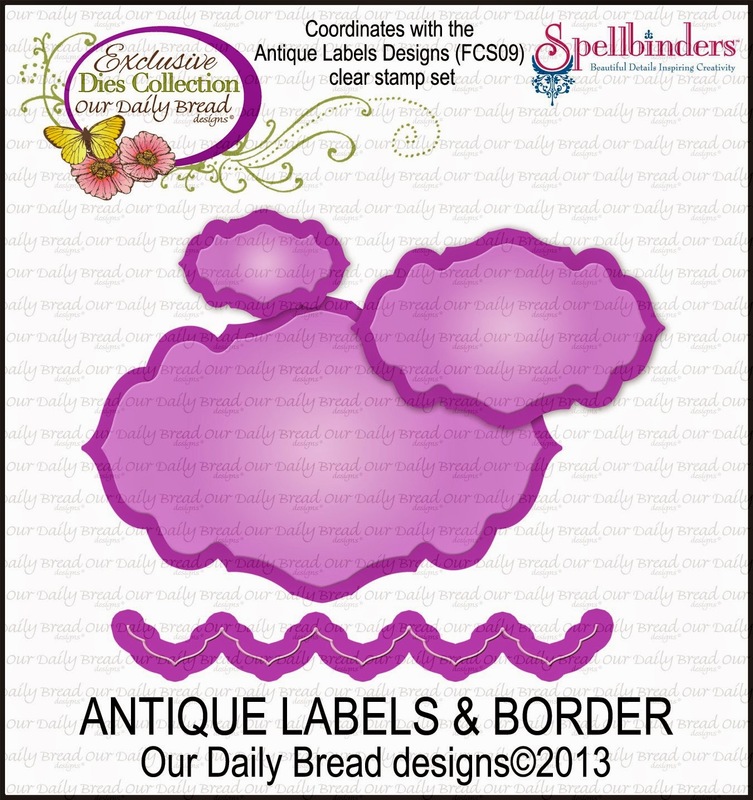 I have two cards to share with you today using stamps and supplies from the Our Daily Bread Designs Store. One bids a good bye to summer, and the other welcomes fall! 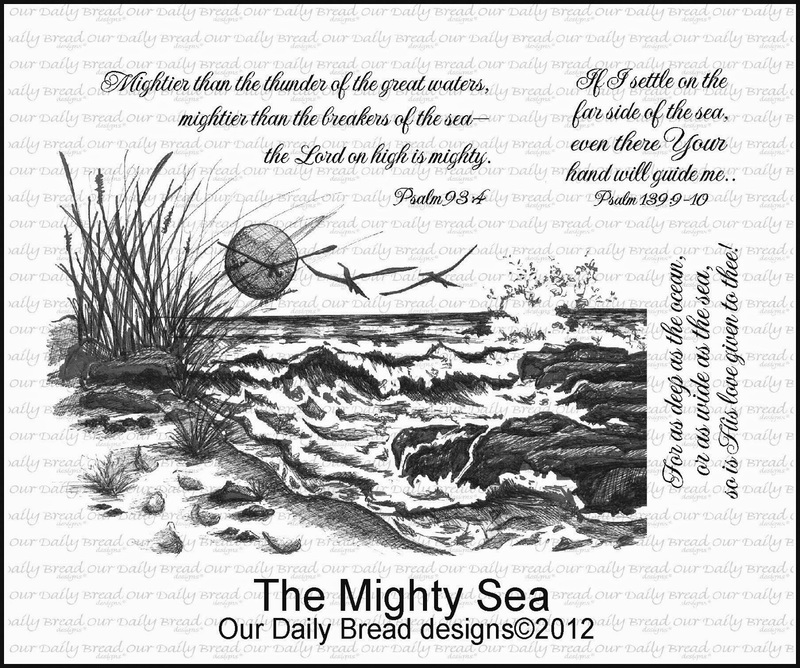 Creative Nugget: I love going to the beach, so naturally I loved the August release by Our Daily Bread Designs. 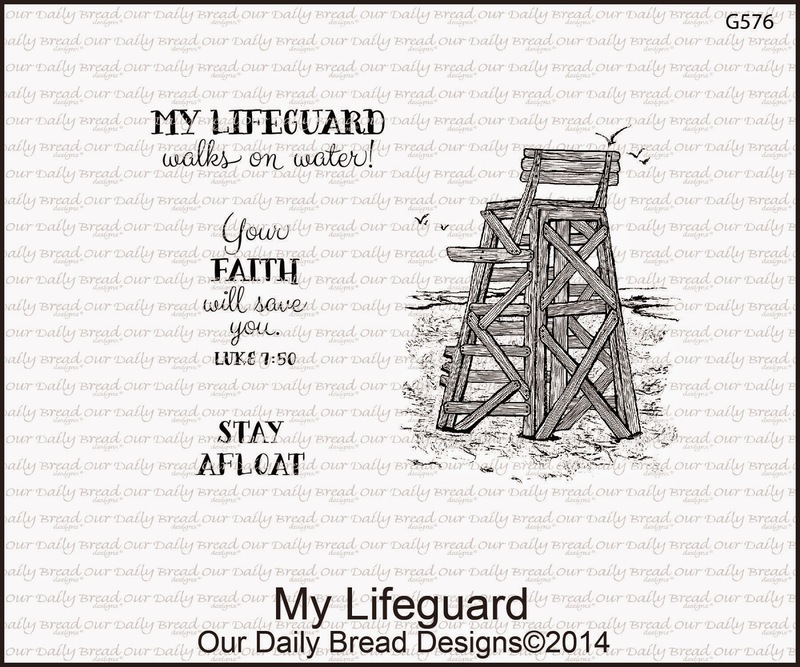 The Graphic 45 papers are perfect for this Life guard chair from the My Lifeguard stamp set. A combination of sponging and Copic Markers was used to color the main panel. 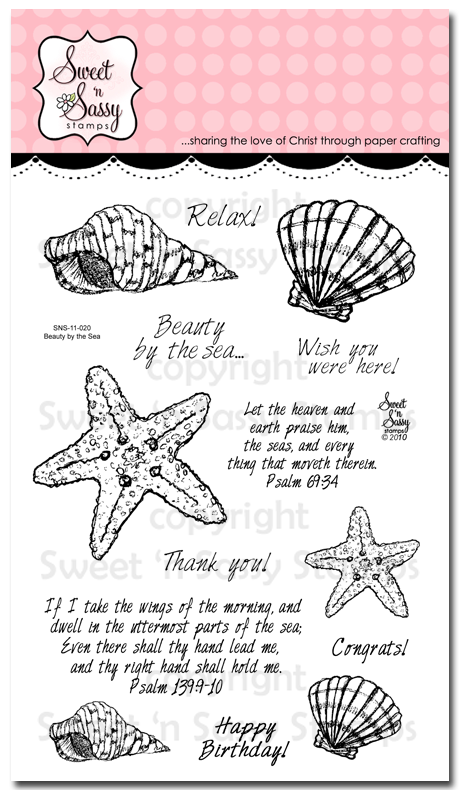 The sentiment, from the Ocean Treasures stamp set, was stamped onto a hand cut banner. A piece of burlap and a small shell add texture and interest to the card while the ribbon and pearls add the finishing touches! 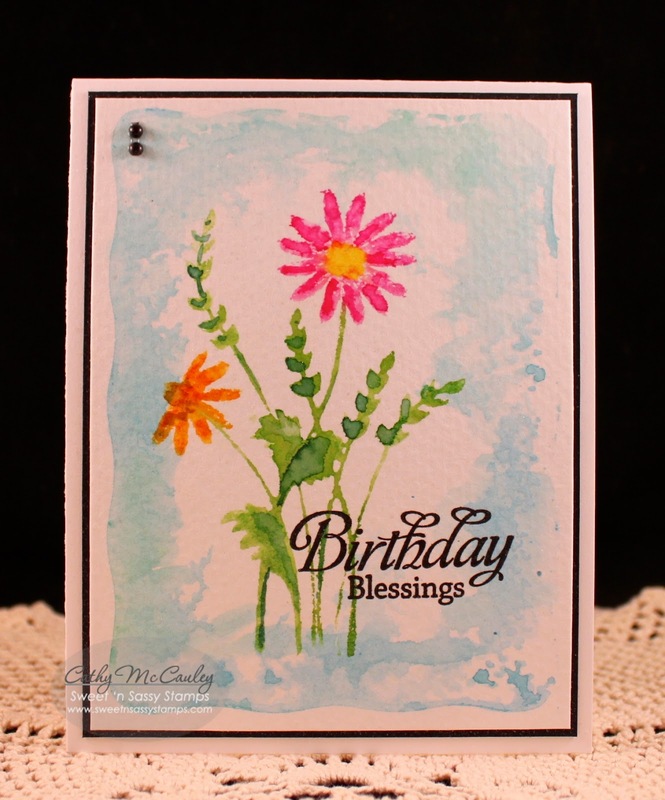 Creative Nugget: This card was created as a sample for the Ways to Use It Challenge on Splitcoaststampers since I am today's host. 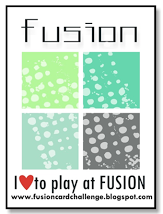 Dylusions sprays and water spritzes were used to create two mixed media panels. The Leaf Background was masked and stamped onto both panels. One was used for the card front, and the other was used for the fussy cut leaves. The cut leaves were also spritzed with Perfect Pearls Mist so they shimmer IRL. 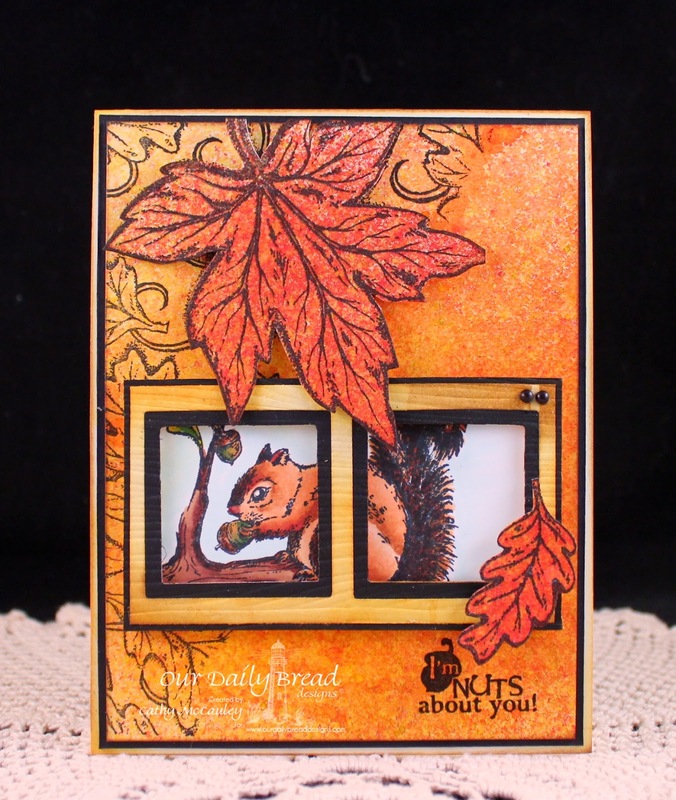 The squirrel image from the Thankful Song stamp set was colored with Copic markers and placed behind the window-like frame. 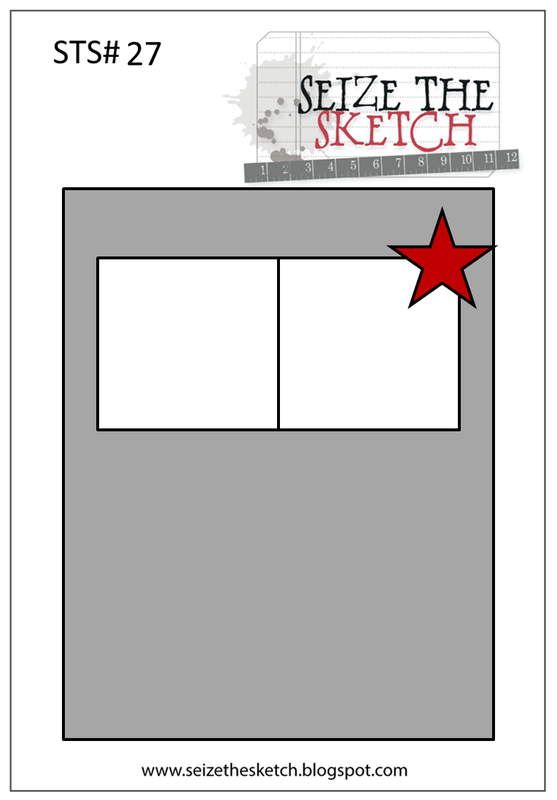 The design of the card is from Seize the Sketch #27, although it's modified a little…hope that's okay! Although I hate to say good-bye to summer, I must say, I love the colors and cool crisp weather of fall. I thank the Lord for giving us both seasons to enjoy! Hello, friends! 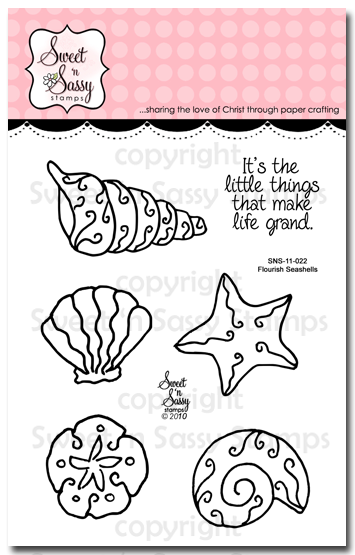 Welcome to Sweet 'n Sassy Stamps August 2014 Release! 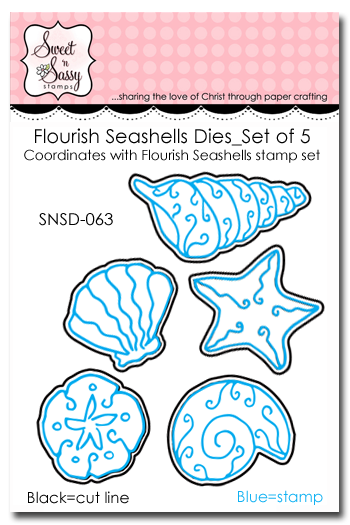 Dies seem to be the trend in card making right now and Sweet 'n Sassy Stamps has some fabulous new dies to release this month that coordinate with several of our summer stamp sets already available in the store! 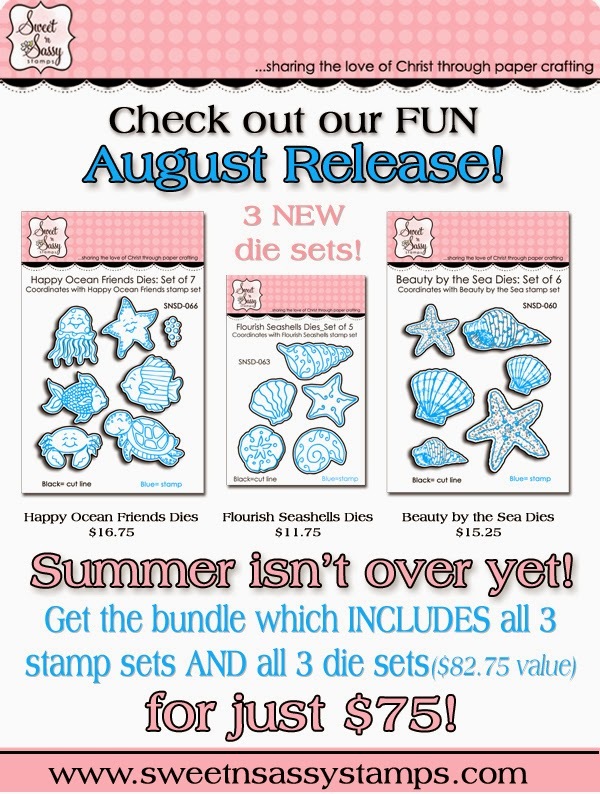 The bonus is that even though these stamps and dies were designed to be summer sets, they can be used all year long! As always Sweet 'n Sassy Stamps has some wonderful prizes and another Release Day Challenge for you! 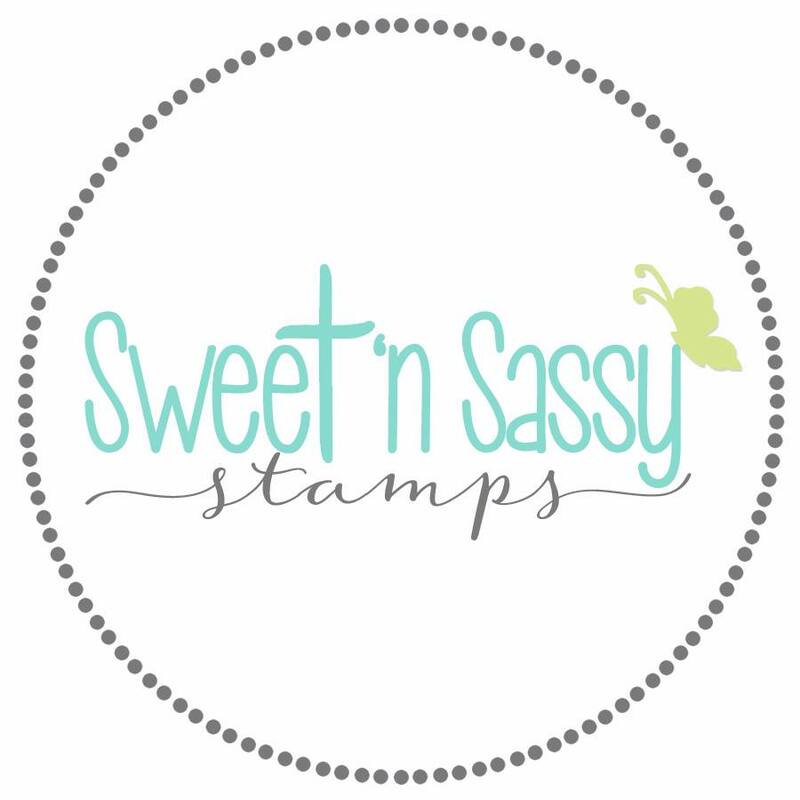 ~One random commenter from one of the DT blogs will be selected to win a $10 Gift Code to be used at the Sweet 'n Sassy Stamps Store. You have until Thursday, August 21st at midnight EST to leave your comments. 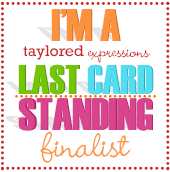 The winner will be posted on the Sweet 'n Sassy Stamps Blog on Friday, August 22nd! ~ Our Release Challenge this week is: "Create a Summery Card and include a Die Cut." You have until Thursday, August 21st at midnight EST to enter. One winner will be randomly selected to receive a $10 Gift Code to be used at the Sweet 'n Sassy Stamps Store. If we have 25 participants (not including the DT), 2 winners will be selected to each receive a $10 Gift Code, so invite your friends to play along! 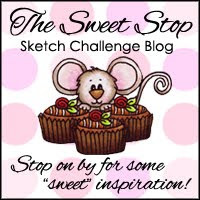 The winner (or winners) will be posted on the Sweet 'n Sassy Stamps Blog on Friday, August 22nd. Creative Nugget: Distressed inks were applied directly to the inside of the chevron embossing folder and spritzed with water to stamp the pattern onto the panel of mixed media paper. Modeling paste was then applied over the chevron stripes to create the background for the card. This was stitched to a piece of Cool Caribbean card stock and attached to an embossed Kraft card base. The sentiment was placed on concentric circles of Kraft and Cool Caribbean. 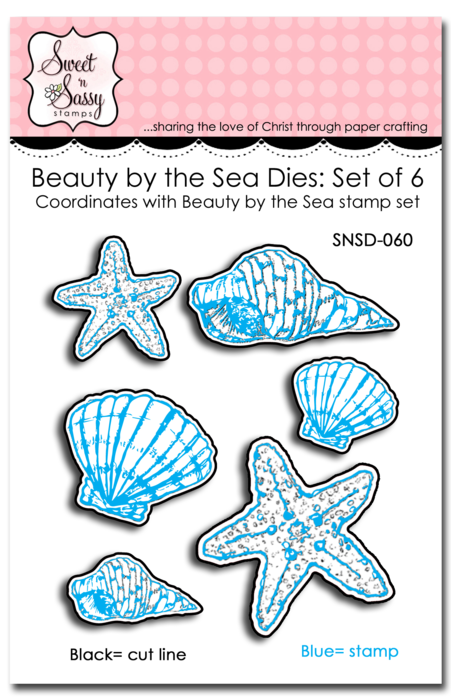 The shells from the Beauty By the Sea stamp set were colored with Copic Markers, cut with the new Beauty By the Sea Dies, and popped onto the card. Cheesecloth and seam binding finish off the card. 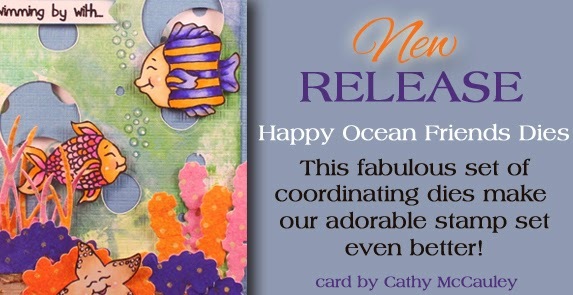 Next is a few Happy Ocean Friends! 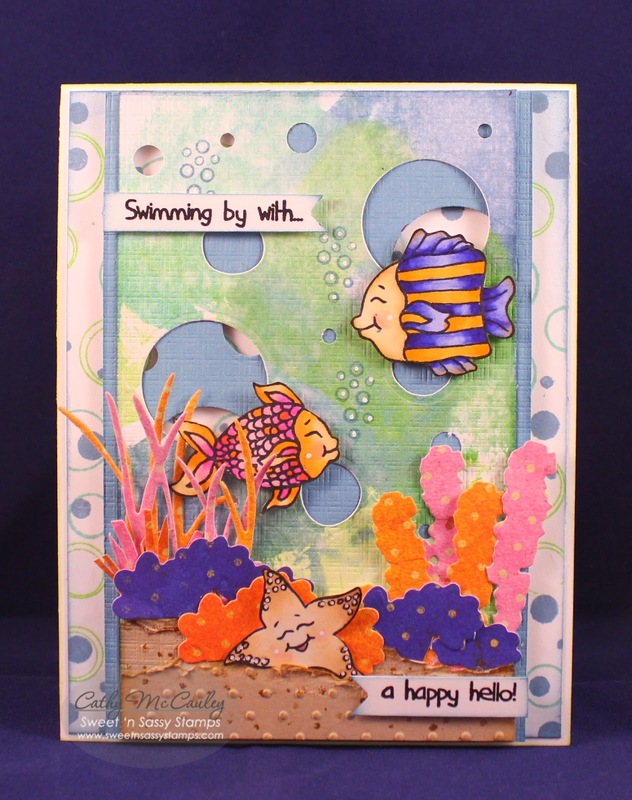 Creative Nugget: Layers of die cut circles from the Beach Die Set along with stamped circles from the Lots-a-Spots stamp set were used to create lots of bubbles in this happy ocean scene. The Long Stem Silhouette Dies work perfectly for coral and the Tall Grass Die makes lovely sea grass! 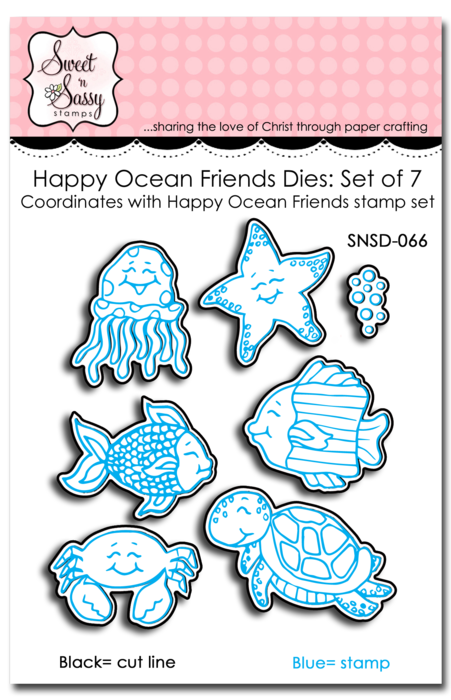 The ocean friends were colored with Copic Markers, cut, and popped onto the ocean scene. A few bubbles and a split sentiment on hand cut banners finish the card. Before I let you go, don't forget about our release day challenge and chance to win a $10 Store Gift Code! Our challenge is "Create a Summery Card and include a Die Cut" Add at least 1 die cut to your card or project. Use the Linky Tool below to add your card to the challenge gallery. To be eligible for the prize, we ask that you create a new card (no back linking, please) and enter your card in no more than 3 other challenges! 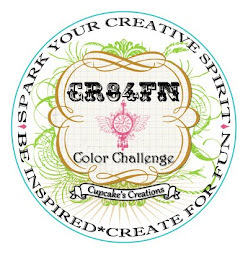 To enter, simply share a link to your creation below. Thanks so much for stopping by! Hope you've been inspired by your visit! Hello friends! 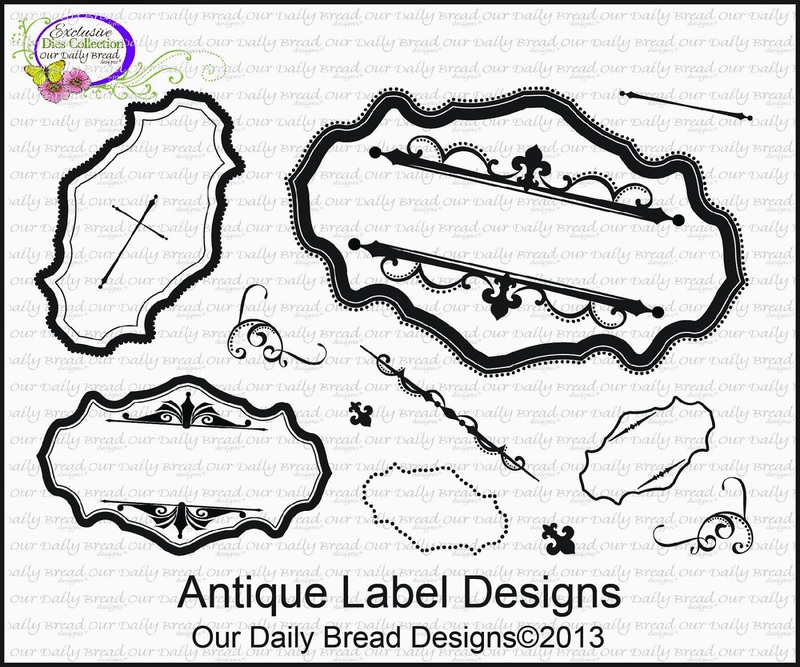 Today we are taking a look back at Our Daily Bread Designs August Release. 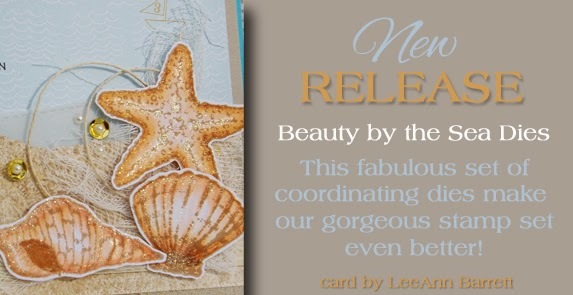 Here are some cards I made with several of the new sun, surf, and sand stamp sets released this month! 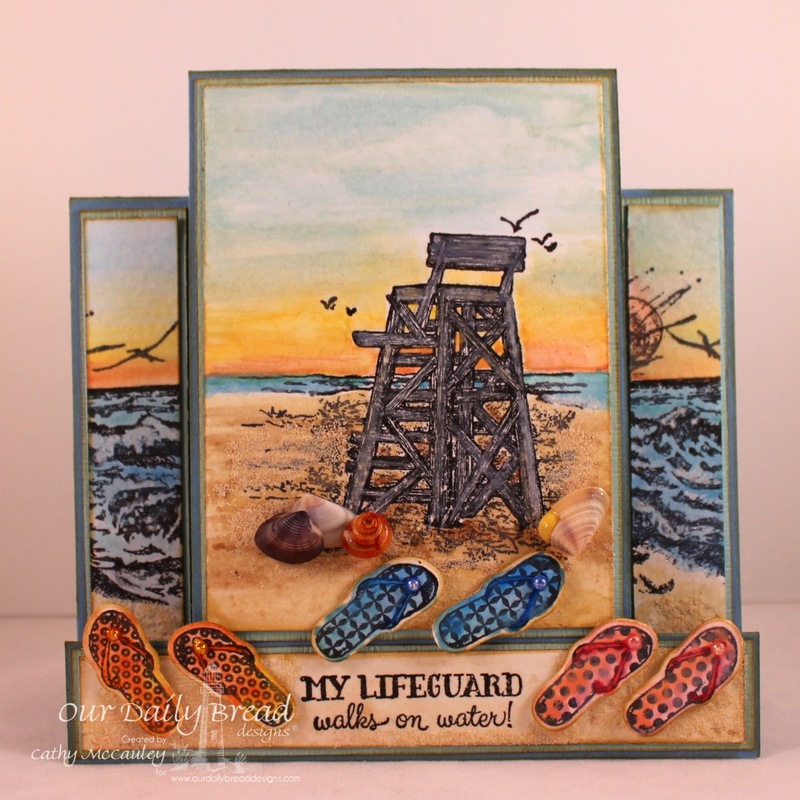 Creative Nugget: The new My Lifeguard stamp set takes center stage on this Center Step card while The Mighty Sea was used to fill in the sides. Care was taken to line up the horizon line, and as you can see, these two stamp sets coordinate beautifully together. Reeves watercolor paints were used to color the scene which was stamped in Versafine ink on watercolor paper. After the paint dried, real sand was used for texture on the sandy portions of the scene. Flip flops are the perfect beach foot wear, so several of the pairs of flip flops from the Flip Flop Fun stamp set were also watercolored, cut with the matching Flip Flop Dies, and added to the scene along with several tiny shells to finish the card. 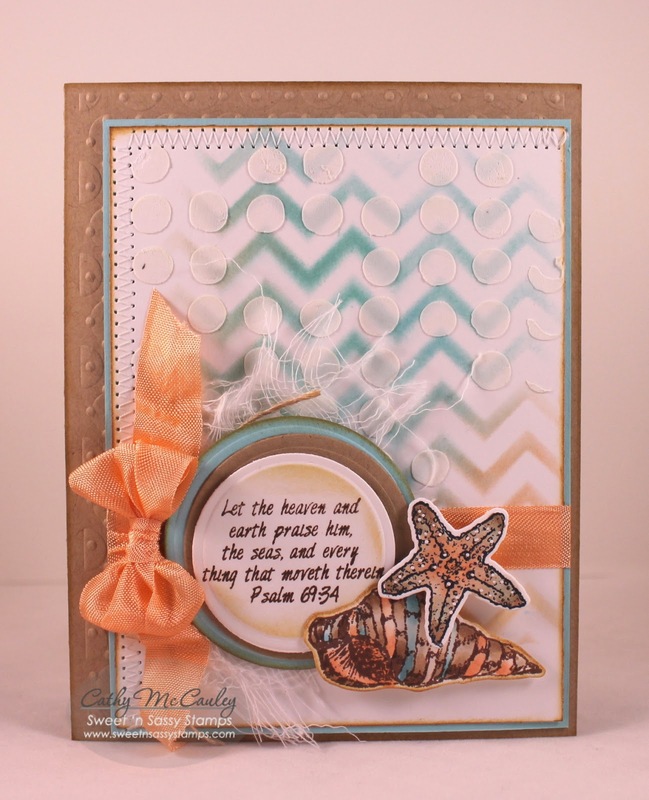 The Ocean Treasures stamp set was used to create my second sample which was made for one of the Dare to Get Dirty Challenges at Splicoaststampers. Creative Nugget: The Sand Dollar Bookmark was stamped on a panel of Solar Crest Card Stock. 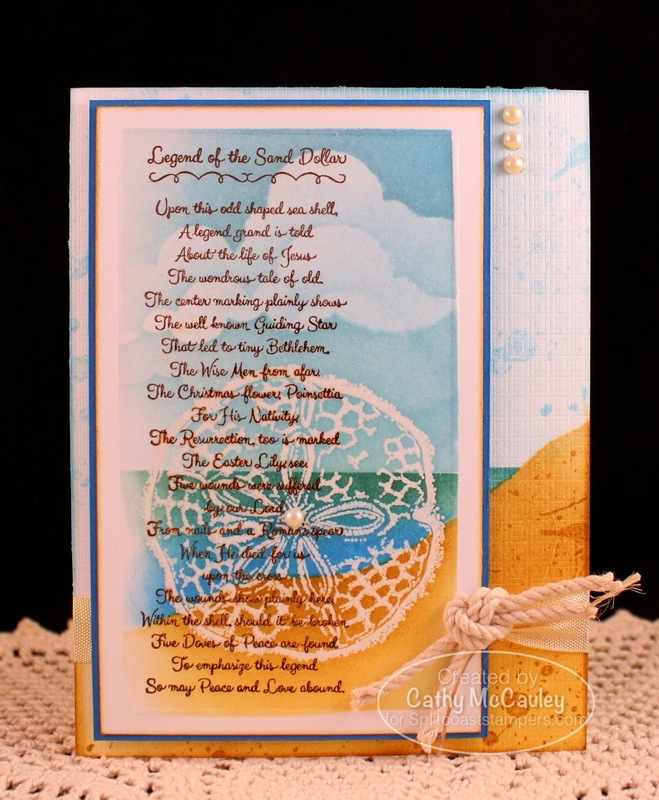 The Sand Dollar from the Ocean Treasures stamp set was clear embossed over the Legend of the Sand Dollar. The scene was then masked using Post-It Notes and sponged with Memento inks. Some scoring, not noticeable in the photo, was used to frame the scene. More masking and sponging was done on the card base to extend the scene. Some knotted rope and several pearls finish the card. For more inspiration using the August Release be sure to visit the ODBD Blog to see what the talented Breadsticks have created. Click on the links below to get more details about each card. Thanks so much for stopping by today. I hope you've been inspired by your visit! Hello, friends! Just two quick cards to share with you today. I signed up for an on line watercolor class, so I'm trying out some of the techniques. 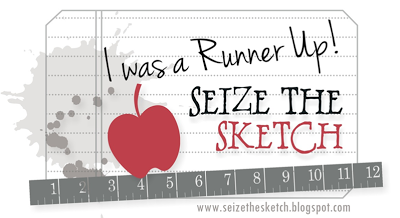 This first one was done for one of the Dare to Get Dirty Challenges on Splitcoaststampers last week. Creative Nugget: The frame for this card was done by painting watercolor onto an acrylic block, spritzing it with water, and stamping it onto a piece of watercolor paper. Distress inks were painted right on the Wildflowers stamp by Sweet 'n Sassy Stamps, spritzed with water, and stamped inside the frame. 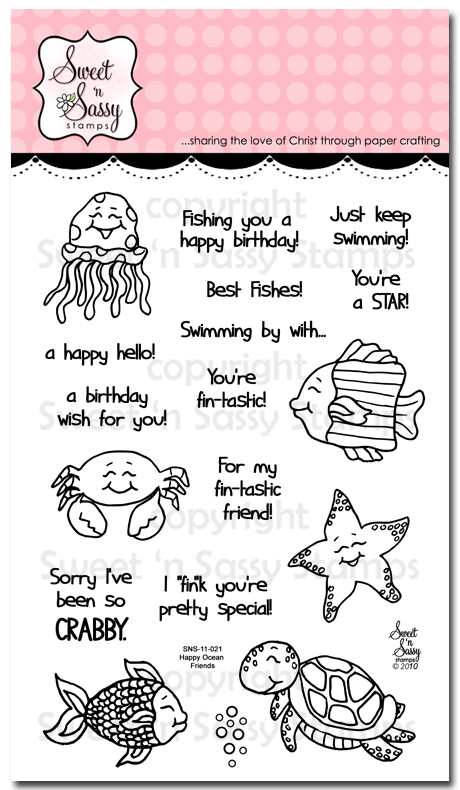 The sentiment is from the Script Birthdays set, also by Sweet 'n Sassy Stamps. A few pearls and a black mat finish the card! I'm taking the opportunity to use some of the challenges to get a jump start on my Christmas cards for this year. This card was created for the CAS(e) This Sketch Challenge, the Splitcoaststampers CAS challenge to use a watermelon palette, and the Splitcoaststampers Technique Challenge to do a watercolor resist. 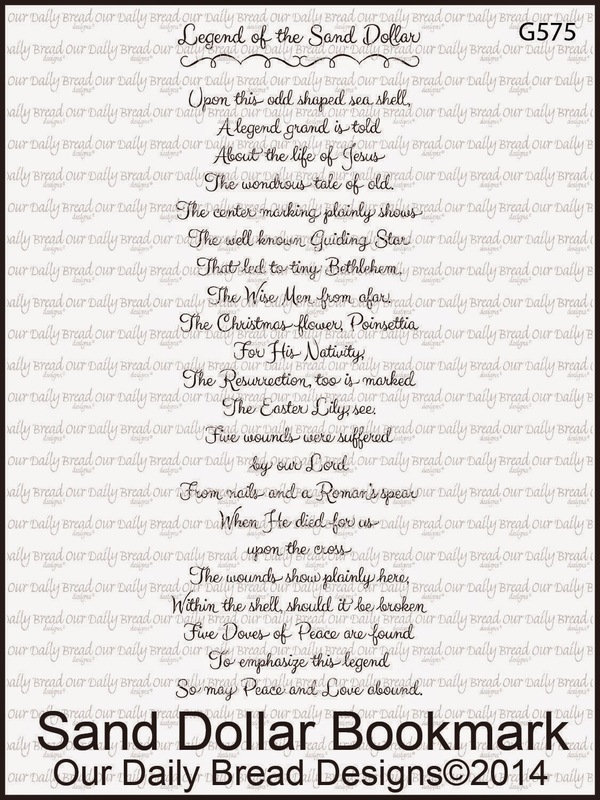 Creative Nugget: The Light of Christmas background stamp was clear embossed on watercolor paper. A watercolor wash was applied over the embossing to create a kind of ombre look using the watermelon colors. The Poinsettia was black embossed, watercolored, and fussy cut before popping it on the tag which was cut with the Bookmarks & More die. The sentiment was stamped on a hand cut banner. Gold micro beads were added to the center of the poinsettia. Some gold Bakers twine was unraveled and tied to the tag to finish the card. 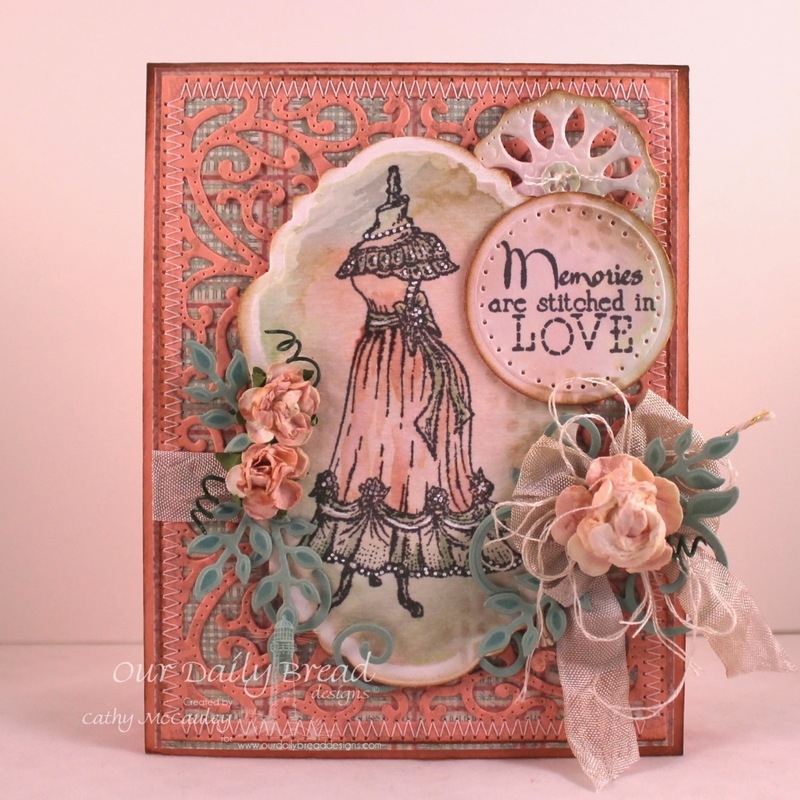 All the stamps and dies for this card can be found at Sweet 'n Sassy Stamps. That's all for today! Hope you've been inspired by your visit! Hello, Blogger friends! 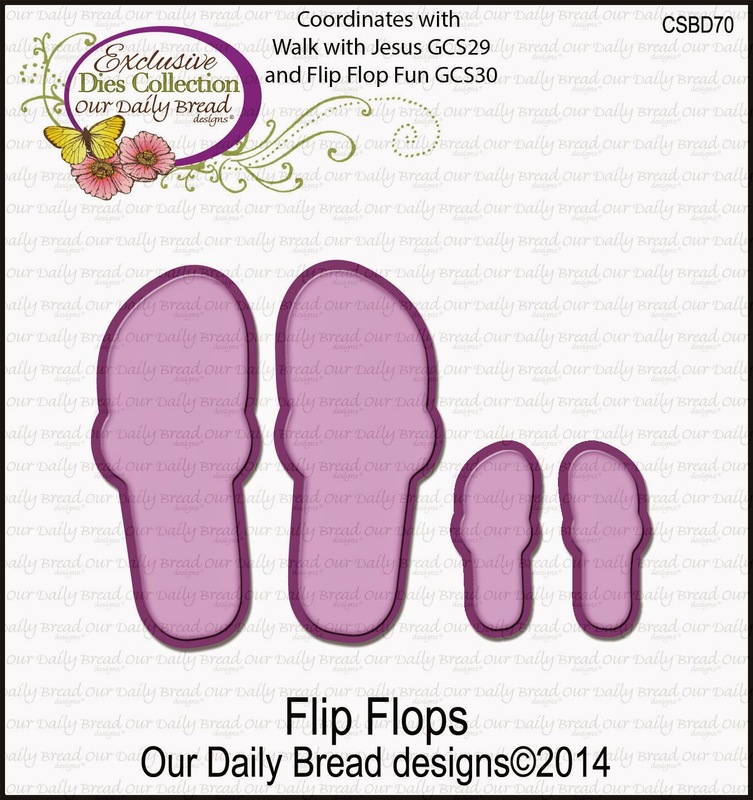 This month is all about the beach, summer fun, and flip flops at Our Daily Bread Designs. With 6 new stamp sets, 4 mini sets, and 2 die sets, you won't have any trouble creating wonderful beach or summer themed cards to send to friends and family. Three winners will be randomly chosen from the comments left on the designers' blogs to receive a $15 Gift Certificate to the ODBD Store to be used toward the purchase of ODBD stamps found in the "stamps column" of the website. You have until August 2nd, 2014 at 9:00 p.m. EDT to leave your comments! The winners will be posted on the ODBD Blog on August 3rd, so be sure to check back there to see if you won! 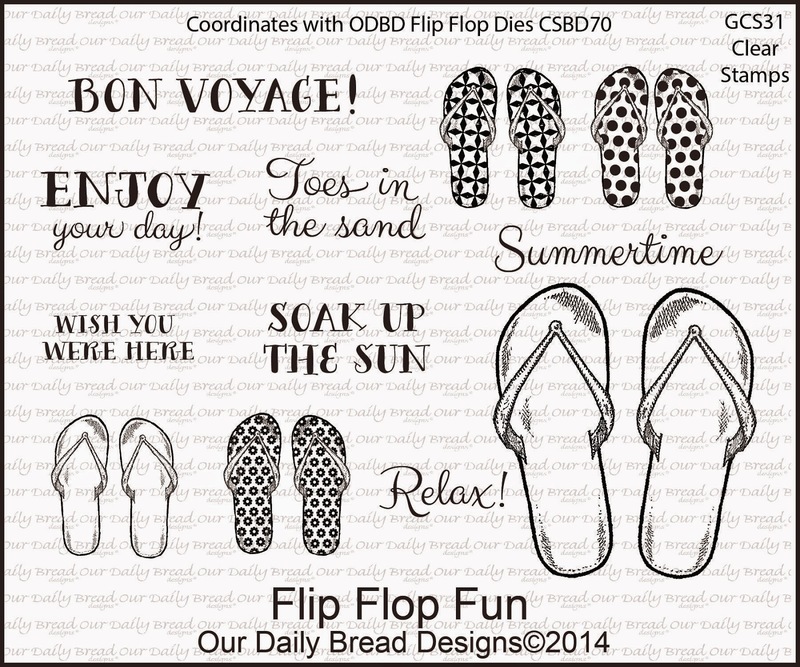 For my first sample, I made a Flip Flop card with the new Flip Flop Fun stamp set! Creative Nugget: After making the octagonal cuts and scoring the card, some fun, summery DP found in my stash was stitched onto the card base. The main panel was masked and sponged with Memento inks. Torn pieces of Core'dinations paper were sponged and layered for the sand. The flip flops from Flip Flop Fun were stamped on coordinating DP and cut with the matching Flip Flop Dies. Sparkly gems add a fun touch to the flip flops. The sentiment was stamped on a Pennant die cut. When the card is opened, you see the flip side of the main panel which was sponged through the Rays stencil. Sparkly embossing powder and modeling paste were used on the alternating rays. The back panel was made with the larger of the flip flops from Flip Flop Fun and cut with the larger of the Flip Flop Dies. Both sentiments were stamped on banners cut with the Pennant Dies. Dew drops and gems were added to finish the card. 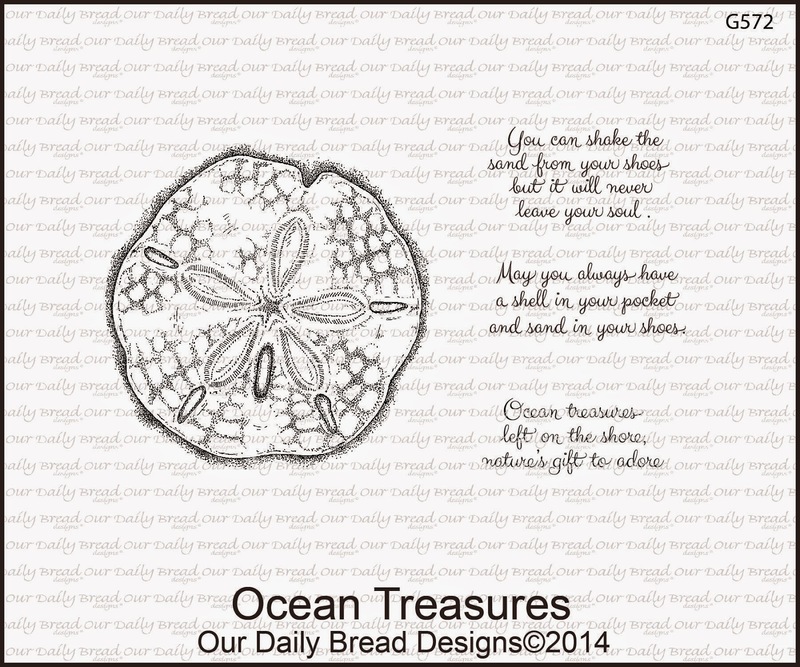 The sand dollar from the Ocean Treasures stamp set was used to create a more vintage-like card for my second sample. Creative Nugget: The Sand Dollar from Ocean Treasures and the Sand Dollar Bookmark were stamped repeatedly on a scrap piece of DP. This panel was cut into strips and stitched to a piece of Kraft card stock. 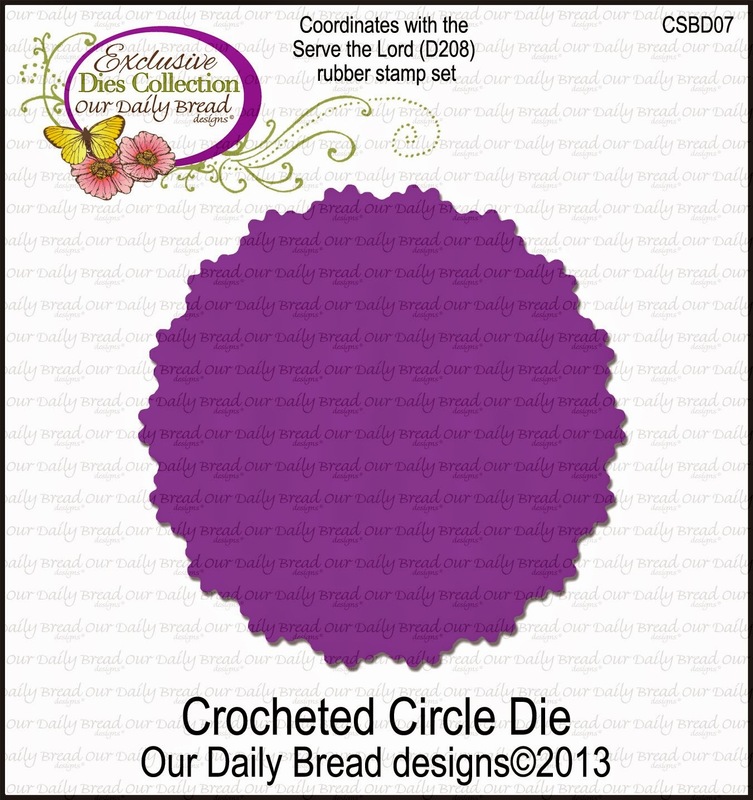 The sand dollar was embossed on Core'dinations card stock, the same used for the card base, hand cut, and mounted on the Crocheted Circle die cut. The sentiment from Ocean Treasures fit perfectly on the Antique Label Designs label and was cut with the matching Antique Labels & Border Dies. This was mounted to a border cut with the Spellbinders Curved Borders Die. The sentiment was attached with some distressed seam binding, and pearls were added to finish the card. 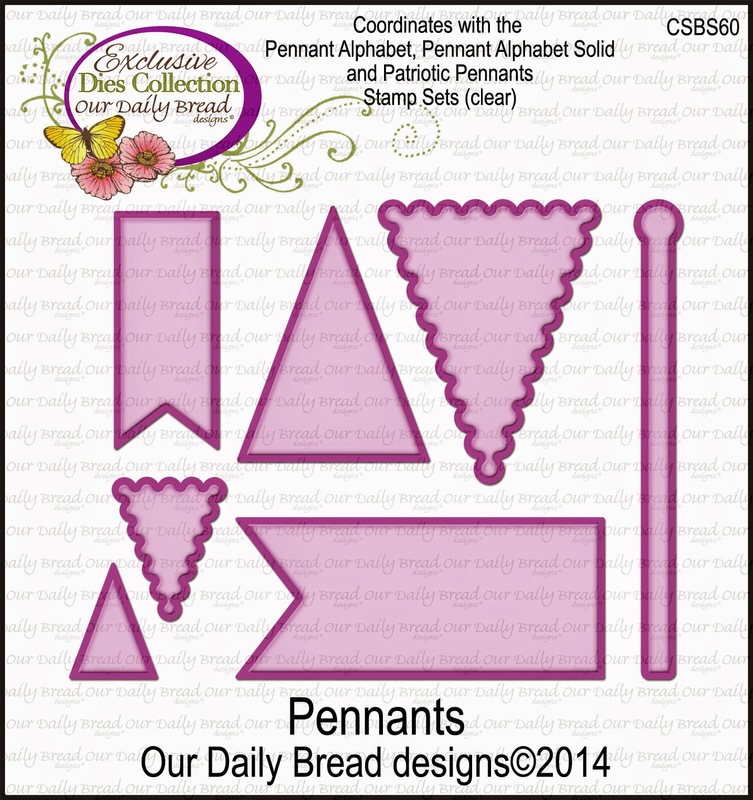 The new products that were used for these projects are now available from the Our Daily Bread Designs Store. 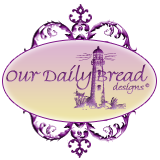 To see all of the fabulous projects made by the talented Sister Sticks in one place, visit the Our Daily Bread Designs Blog. Details for each of the projects can be found on the designers' personal blogs…the links are listed below for your convenience. 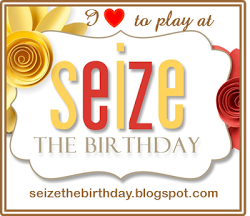 Don't forget to leave a little love at each blog to be eligible for one of the prizes! I hope you've been inspired by your visit! Thanks so much for stopping by…have a wonderful day!